That's the nickname for the white Rolex Explorer II isn't it ? The arctic and Antarctic are two very different places. No one ever goes to the Arctic. They don't even have a Smiths there. I think omega have a watch named the Antarctic. On top of the world at Everest. Triumphant in the Antarctic. I like the design of that dial, the blued hour and minute syringe hands and the red seconds hand. I think that dial and those hands would look spectacular in the 36mm Oyster case of the prs-25, more than another 1016 look-a-like dial imo. Pretty sure this is backwards. Plenty of people live within the Arctic (Inuits etc). No one but the National Science Foundation researchers go to the Antarctic. Doh. Hadn’t had my morning coffee to get your original joke. LOL. My brain slowed for the holidays. Any of these tick any boxes while I still have my vintage crayons out? The blue would be the same as the Air Ministry watch. 2, 4 and 5 look really nice. A small thing but I noticed the Smiths logo looks really good on the white dial model. Its different on the dark dial model where the curve under the word doesnt include the first and last S which makes it a little less pleasing to the eye. Loving your work Mr coot. Generally I don't like Mercedes hands on a watch. I prefer pencil hands. But on this model, I must say, its got to be merc all the way. Don't think timex will be too impressed though. I hadn't planned on buying the white dial version, but option number 5 below would see me parting with some cash! Merc hands, lollipop second hand, the red, the outlined indices and hour markers... Exactly what I'd be looking for. Red seconds hand immediately makes a watch less versatile. Or is that too much like an awful Apprentice team name? My Antarctic. When I bought it for $10 I thought it was just an old Deluxe. Loved it anyway and I wore it all over the world and only discovered it was special a few years ago from a forum member here. I love it, red second hand and all. How? You look at it, you know the time. The logo of Smiths here solves the shape of the word. Looks really good. To remain true to the spirit of the idea we would need to have a vote on this and then a two year long thread in the BP where opposing factions could be rude to each other. fwiw I'm liking that but could the dial be a shade whiter. Just a remake of this one would do me, it's gorgeous!!! I agree with you. 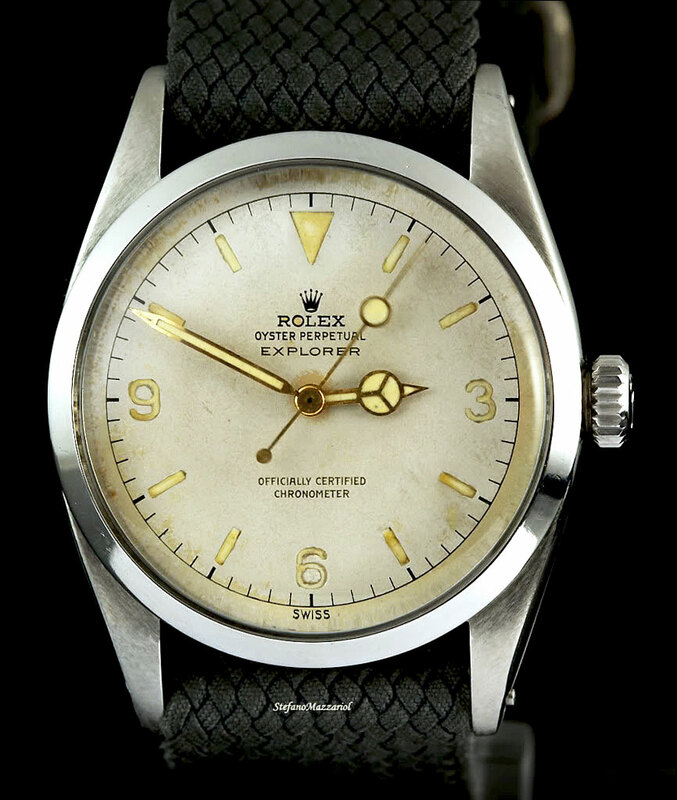 Of all the white dial Explorers I posted, I like this one the best. No mercedes hands and no 3-6-9 dial but still the Explorer look and feel. I'm afraid we're in the minority though. If it's going to be mercedes hands and a 3-6-9 dial I think golden hour and minute hands with only a blued seconds hand might be an option to consider as well. 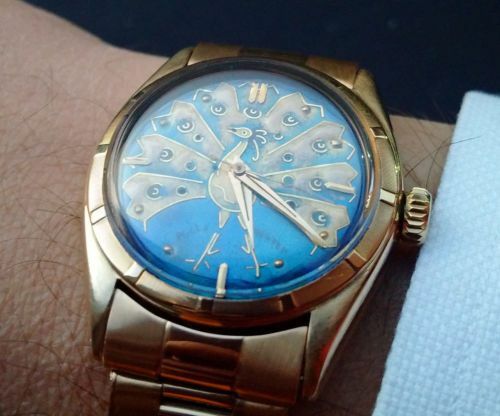 Golden hands on a cream dial kill the legibility for me. Same would go for golden mercedes hands imo. This gets my vote. Absolutely perfect! How about the minute markers to be in red too? Too much? For myself I prefer the lighter/whiter 2nd dial version, though iirc Eddies' already said he'd use the same hue as the new 29 which seems to travel from quite or mostly white to creamy depending upon light conditions, so all is good. Either red or blue second hand works though imho. Last edited by Passenger; 30th December 2018 at 23:16. Some gold (ish) love - not sure of the seconds hand colour as it suffered from Over Gold. I would remove the red numbers and use normal indices in their place. Also normal black outlines around the hour markers and black indices iso golden ones. It's too much gold for me. But I like the golden hands and the blued seconds hand better than all blue. Red, white and blue in some combination. I think you need a smidge more separation between the words Smiths and Deluxe (i.e. more like the original), and also between Antarctic and 24 Jewels. Probably equal first for me with the same version without the chapter numbering. Coot - can you also try a mock up that is a lot more "white" please ? Should it say England, Great Britain or United Kingdom? It's supposed to be a white dialled PRS-25. If you change the name, dial and hands, then it's now a different watch. 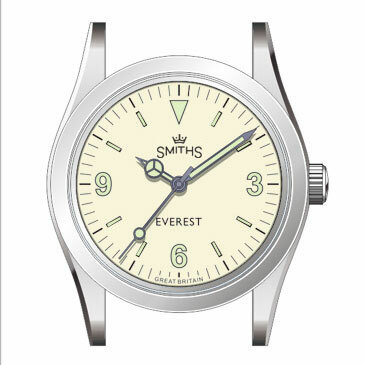 The white dial 36mm Everest will be fitted with the Miyota 9039, as will all future versions of the Everest. The 9039 is basically the 9015 without a date. Having recently purchased 2 TF watches (29a and 36 mm black Everest) , I am pretty sure I will be adding this white 36 mm PRS-25 to the collection. I do hope we can swap the bracelet out with the 36mm black Everest :). Great work Eddie - keep it up. The PRS25 is an homage to the 1016 which we all know had nowt to do with the 1953 Everest expedition. 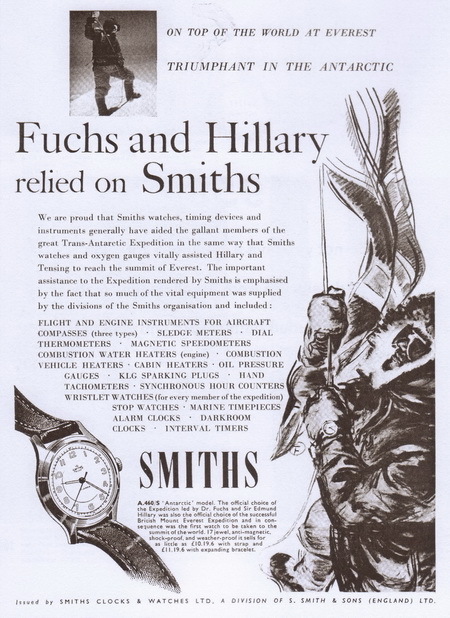 Eddie makes direct reference to the Smiths expedition watch in the marketing of the PRS 25 which is why the discussion has evolved this way. Is the PRS29 AM a negative of the PRS29A? How did we get to calling it the Antarctic? Antarctic is a stretch! Everest is fine imo. I’d prefer the moobs logo and model in a cream/beige font. My preference would also be for pencil/syringe hands. fwiw I reckon sticking to the original premise will result in the best outcome. There's been a lot of interesting ideas put forward though it's evolving into a different watch. For my money 3,6,9 and blued mercedes hands will be just right. kiss. I think a small second dial would have been nice on this model, but alas that ain't gonna happen. I think it's hard to tell from the renders, but Eddie's initial version seems pretty good. I guess that was instigated by me by suggesting that Eddie might look at Smiths own heritage for inspiration. 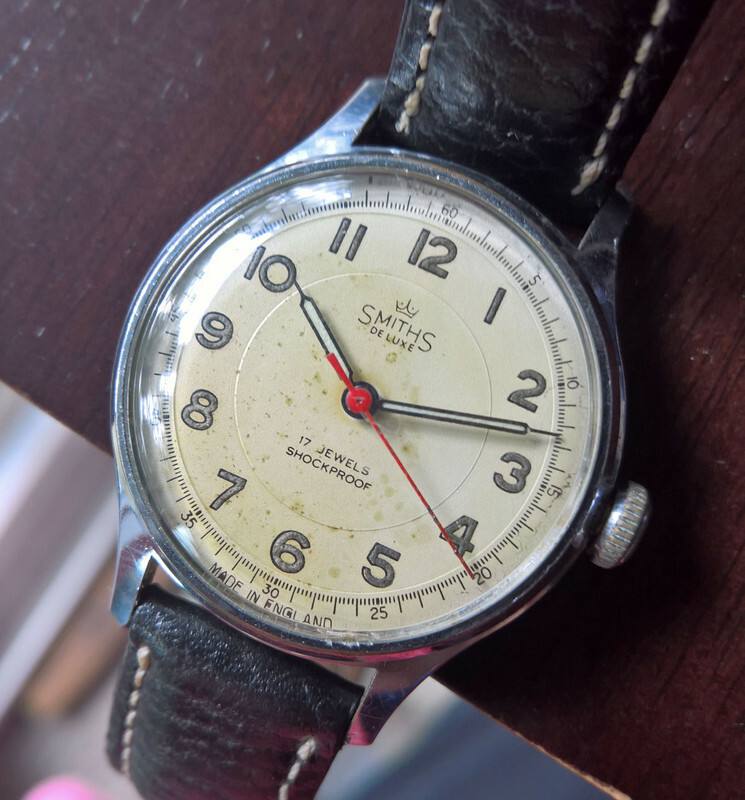 I still think that using the dial and hands of the original Smiths “Antarctic” would make for a better looking and more original watch than a white dial 1016. The current proposed design doesn't attract me at all I'm afraid but I realise I'm in a minority.